When you are working with three components for equilibrium data, that is when you would use the equilateral triangle graph paper to its full advantage. The corners of the graph paper represent the three components at one hundred percent. The lines extending to the right display the different amounts of your first component. As an example, if your bottom right hand corner of the paper is one hundred percent, then the bottom left hand corner would be zero percent. The lines which lay horizontally indicate the different amount of your third component. If the top of the triangle is one hundred percent then the bottom would be zero percent. When you are plotting data with points onto your paper you will only need to know your data for component one and three because with this information you will then receive your information for your second component. You would first place the 25% on the graph upon the base until you reached the 60% then you would following the upward diagonal line on the graph which you give you the resulting answer of 15%. This triangle graph paper is exactly what you will need when you are intending to plot any of you equilibrium data on paper. If you were using liquid to liquid data you could plot all of your phases known. You can also use the equilateral triangle graph spreadsheet for configuring and analyzing distillation system data. Another common use for calculations with triangle graph paper involve configurations called tessellations. 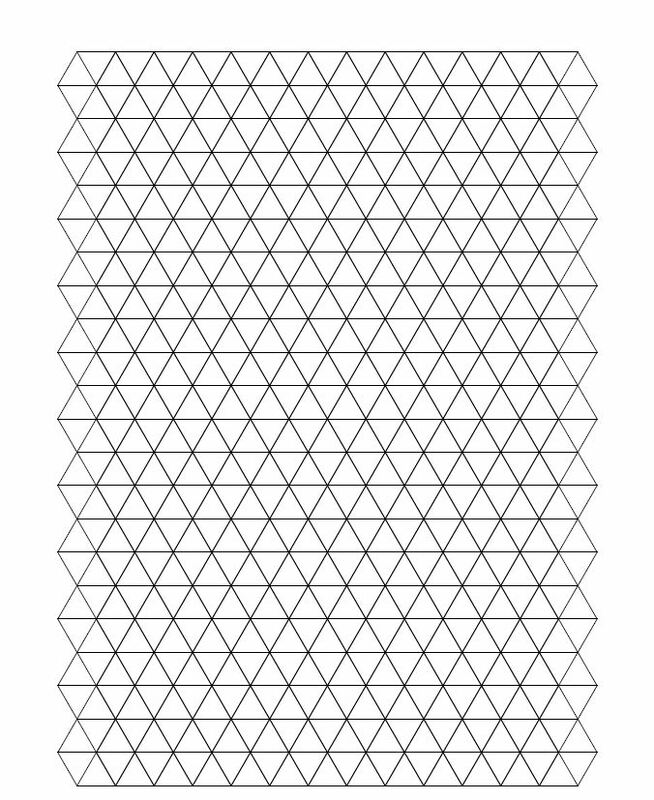 Tessellations are used most often to allow a triangle to “tessellate”, or make symmetric, a plane. Tessellations can be found by making two sets of parallel lines at right angles against one another. 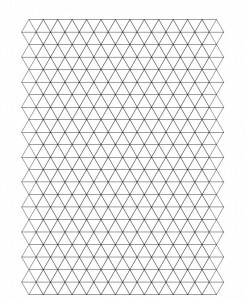 Tessellations can also be found by conjuring up a few equilateral triangles, with three sets of parallel lines at 60 degrees to one another.